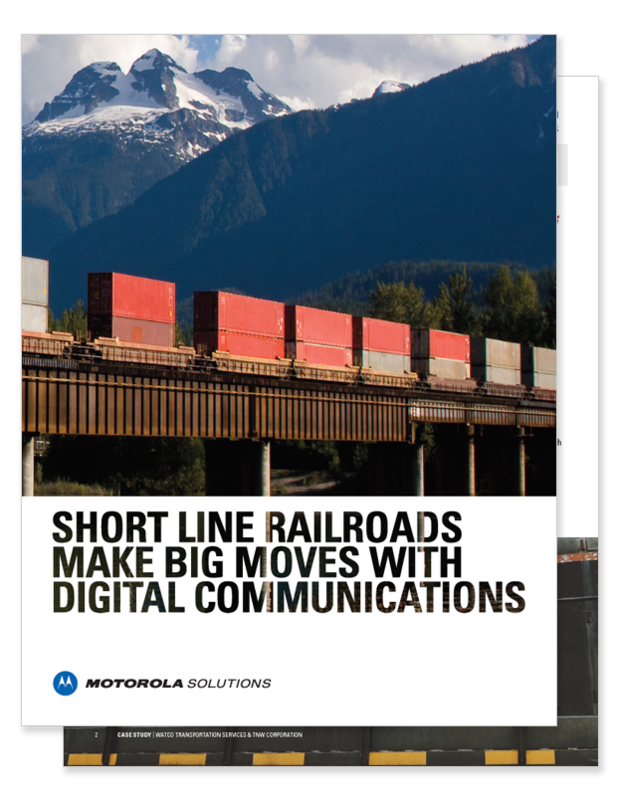 Short line railroads are at a communications crossroads — preparing for future digital radio communications standards while addressing critical communications needs today. The AAR is recommending that railroads migrate to ultra-narrowband technology before the FCC requires it. Meanwhile, the FRA’s ban on the use of all personal electronic devices by railroad employees while operating trains and in other settings, has created a need for reliable, industry-optimized devices. Download the case study to learn how Watco Transportation Services and TNW Corporation have overcome these challenges and are preparing for the future with MOTOTRBO™ digital two-way radios. The rails can now utilize analog channels for interoperable rail communications while taking advantage of digital features, communicate seamlessly with Class I railroads and ensure their team is safe and efficient — all with extended coverage, noise cancellation technology and longer battery life.